I think that the trouble on the streets of Haiti have finally made its way to the American news after 9 days. My phone has been busy all day with messages from people asking if I am safe, how things are going, and am I home or coming home? I want to assure you that I am safe and doing well right now!! Probably protesting only out of desperation for food and water with little understanding of the current government situation. You may have seen some of these images on the news. While the people are upset and have taken to the street, I live in a fairly quiet part of town. I have only seen a little bit of activity around the clinic and where I live (0.4 miles apart). But even so, caution must be taken on the streets even in our neighborhood. While I would certainly not go out and travel around Port-au-Prince right now, as it’s not safe, but without social media I would know little of what was going on or be aware of a lot the dangers. For safety reasons, many Americans have evacuated Haiti and more are leaving every day. Those of us left in our area, while not seeing fires everywhere, are very aware of the desperation of much of the country. Food is scarce, water is scarce, and fuel is scarce. And as Haitians get more desperate things will become more dangerous everywhere. We are still having clinic each day but some days we get only a few or even no patients. We have lost some of our patients to the situation and it’s sad that they can’t get to the clinic because of the condition of their neighborhoods. One of the dad’s came to malnutrition clinic dripping in sweat. He said he dodged a lot of rocks on the way to clinic to get food for his son. Please pray for our patients that are unable to get to clinic for wound care, medications, food for the malnourished children, and medical care. It broke my heart that he is so disappointed in his government (the main cause for the demonstrations) and in his people for the way they are responding to the crisis. Please keep Haiti in your prayers. Pray peace would come to this nation, and people would be able to have their basic needs met. Pray that Kelby’s Kids will be able to remain and provide help for those who are unable to find enough water and could never have medical care if it were not free. The need to evacuate is and will continue to be reevaluated frequently every day. I will try to keep you updated on things as they happen. Thank-You again for your concern, prayers, and support of the work of Kelby’s Kids!! It is greatly appreciated! On a lighter note, this girl turned 2 today!! Happy Birthday Faeka!! Such a blessing to help you come into this world and watch you grow. Praying you can grow up in a Haiti that is not so broken! Kelby’s Kids Has Been Blessed in 2018! I have to apologize for the delay in getting a blog post to you. I have been very busy, and time has gotten away from me. The Prices left to go to the States the day after the last post. So, I’ve been by myself to keep all the clinics going these last four weeks. I returned to Michigan for 10 days at Christmastime. It’s the one week a year we close all the clinics. During those 10 days in Michigan, I had 21 appointments to meet with family, friends, and supporters — it kept me on my toes! I returned to Haiti on a Sunday afternoon and clinics resumed on Monday. The clinics have been very busy and we have had four teams help us during these last three weeks. I also spent 3 days in the hospital with a patient (more on this, later in this post). I have also made a few house calls … AND I have helped five Americans in the last 20 days. Whew! 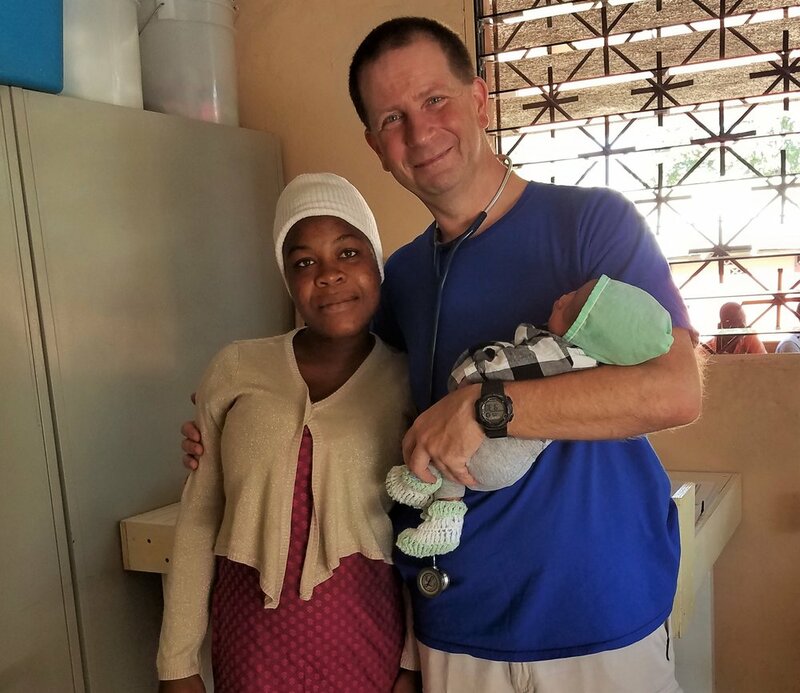 With the help of a visiting doctor and my ultrasound machine, we were able to save one missionary from an expensive, unplanned trip back to the United States. So please excuse my delay. Things have been going well in the clinic and there have been no shortage of people to be able to bless through you and your faithfulness to the ministry of Kelby’s Kids! There was a tremendous outpouring of support with giving Tuesday, year-end giving, and the vehicle fund! I am truly blessed and humbled by your love and support! I am pleased to announce that we have received the money needed for a vehicle for Kelby’s Kids! Now we simply continue to wait for the government paperwork required to be able to purchase it. In addition to the large funding for the vehicle, you’re continuing to support the day-to-day operations of this ministry. And, on a daily basis we are changing lives and bringing hope to so many. One of the littlest wound-care patients in a while was this little man. Sporting a cool hat and a clean bandage! He put his hand into a pot of boiling bean sauce and burned it to the point where he “degloved” it. (Degloving basically means that most of the skin on his whole hand peeled off in one piece — like a rubber glove). He had some trouble the first time or two, but, after he figured out the system, he was a very good patient — anticipating how he needed to hold his hand so we could care for it. His hand has healed very well and he should have little trouble with it as he gets older! Weak, fragile babies continue to be one of the things that strums my heart strings the hardest. 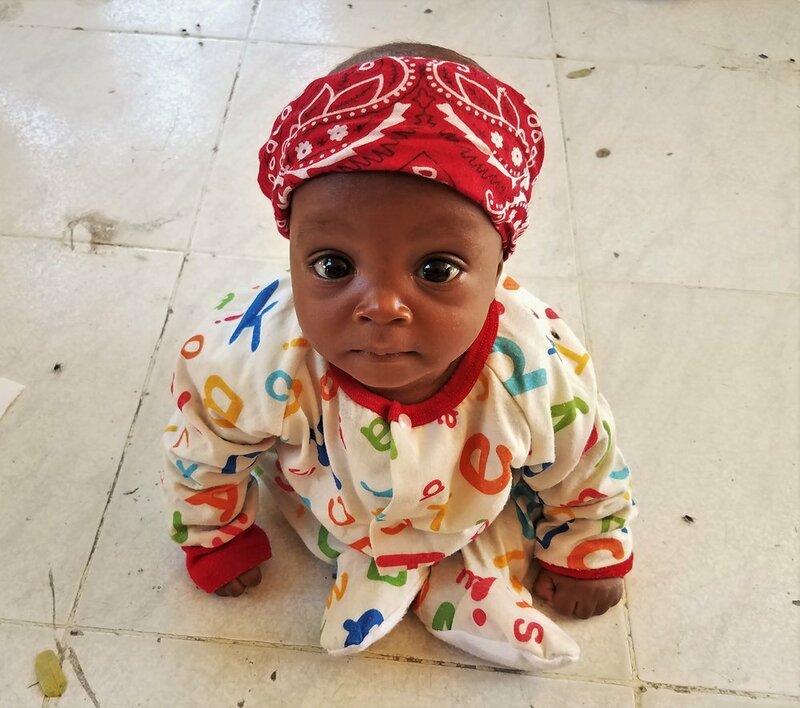 We frequently have babies in the medical, malnutrition, and maternity clinics that need some extra help. So, holding them, feeding them, and loving them is always a precious time for me. Working on getting bigger and stronger! The little guy above needs a little extra help, simply to eat. He’s so tiny that he can only eat for few minutes before he gets tired. So, to increase his milk intake, mom is pumping to give him additional milk (other than the formula) during the time he’s awake and able to eat. Hopefully in a few weeks he will be able to go back to breastfeeding. We have been graduating many kids from the malnutrition program in the last three weeks! It’s exciting to see these kids go from malnourished to healthy with a stop into our clinic each week. The price of the formula and Medika Mumba is well worth it when you see the kids become health and the joy it brings to the family. One of the most recent graduates from the malnutrition program! This little girl graduated last week when she made it to her goal weight! One of the moms in my maternity clinic was only 15 when she had her baby. She wasn’t sure what she was going to do. She was torn between keeping the baby and giving it to the orphanage. After working with her for, Mom decided an orphanage was NOT the best place for her baby — and she wants to keep him! So blessed to be able to grow up with the love of a mother! This tiny guy will grow up with the care of his mom and won’t have to live in an orphanage! We have also had a lot of graduates from the Maternity clinic in the last couple weeks. The next day she walked to the clinic from the hospital carrying her IV bottle. She had been discharged because her bleeding had slowed down. I advised her that she needed to go to another hospital. We could still hear the baby’s heartbeat. But, the mom’s placenta was becoming detached, and without proper treatment, the baby could soon die — and she could as well. She said she had already been to the hospital and she would just go home for now and rest. Unfortunately, a few days later, she started bleeding again. And, this time, as she was being driven to the hospital, she died from blood loss. It’s sad that she was unable to get the help she needed. The medical system is very broken here for those who can’t afford private care. The maternity clinic is making a big difference for many, but unfortunately, we can only do so much, and we won’t be able to save them all. That’s why we always share the love of Jesus with our patients. So they can always have His gift, which is better than any level of medical care. Not too long after I got back to Haiti, I was setting in my room one evening when I was told one of the kids from the REV Home (a nearby orphanage) fell and dislocated his elbow. I always hope was my hope that it was dislocated and not fractured. When I got to him it was pretty evident that it was a bad fracture. We took him to the ER for an X-Ray. You guessed it, a significant fracture. Amber, the director of the Rev Home, wasn’t in Haiti. She was in the states. I worked with him for his care while in frequent contact with Amber through Facebook. We moved him to another hospital for his surgery. Ludjer’s arm before and after surgery. After three days in the hospital, I was thankful when Amber arrived from the states! It’s such a struggle when you’re never really even sure about the quality of the private medical care in Haiti. I am happy to report that the surgery went well. He seems to be healing well. I’m praying that he has no long-term issues with his arm or his elbow after this is all done! 2018 was a great year for Kelby’s Kids and I am looking forward to 2019! I try to be a good steward of your funds with my travel expenses. It is a delicate balance though. 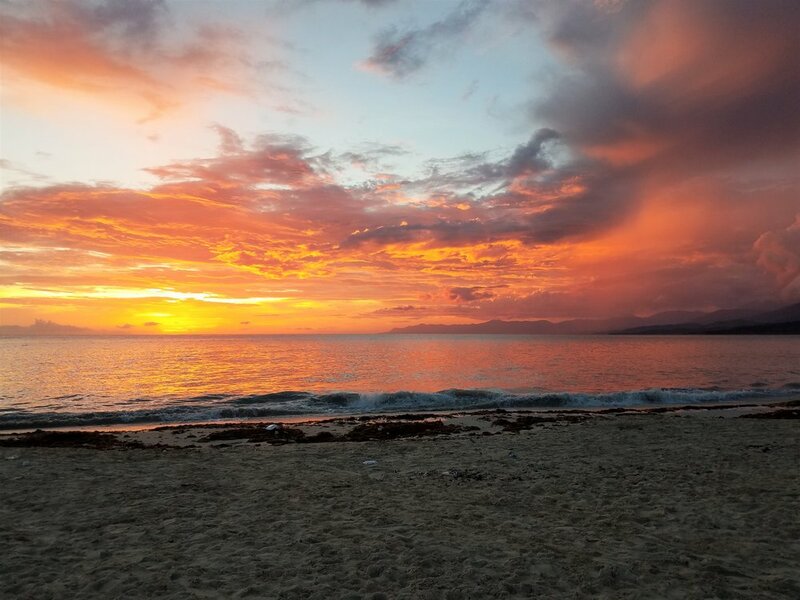 It’s very difficult to get any rest, relaxation, and recharge while in Haiti. So, time away is important, because you can’t pour from an empty cup. But it’s also very important to speak, raise funds, and stay connected with people while in the States. I spent 305 days in Haiti last year helping as many as I could! I made three trips to Michigan in 2018 for an average of 20 days per trip. I will soon have my residency permit (which also allows me to get my vehicle!) 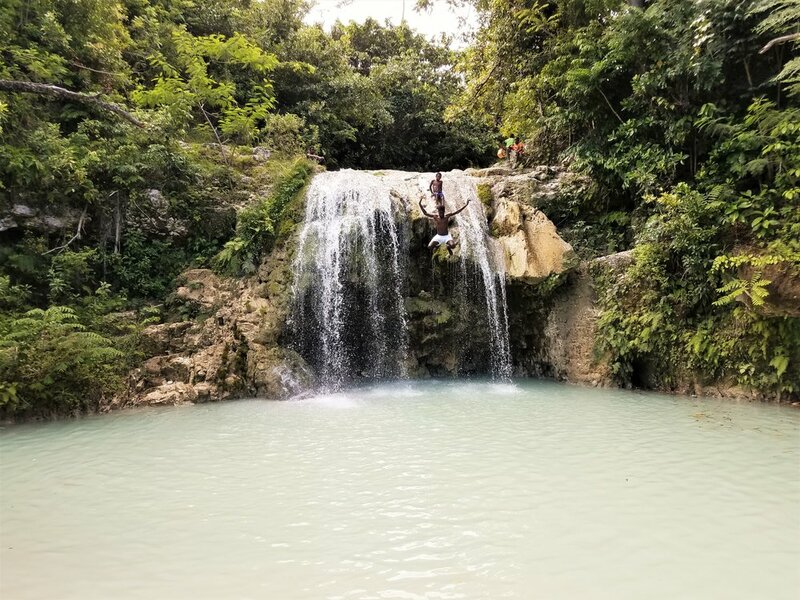 so I will not have to be worried about the length of my stays in Haiti, but I would like to continue with a similar schedule like I had last year. I believe it will help stay emotionally and physically healthy. As I said in the beginning, I am blessed beyond measure by your support which allows me to do what I am doing in Haiti! When I started Kelby’s Kids back in early 2016, I wasn’t sure if others would be drawn to my dream and the passion I had for Haiti. But you HAVE! And I hope that by reading these blog posts, and seeing the faces of the kids and families, you can hear, see, and know the difference you have made! It feels wholly inadequate, but all I can say is THANK YOU! Things have been extremely busy here in Haiti the last several weeks. When it seems that I will have a little bit of free time, something always comes up. For the last several months some Haitians have been planning a very large demonstration for October 17. So, despite the unrest it has brought, it has also brought a little down time for me. Maternity clinic was cancelled for Wednesday the 17th. We stayed off the streets and it afforded me time to get some administrative work done. Thankfully, the demonstrations were much more peaceful than the ones in July. Kelby’s Kids continues to see and care for many in Haiti. No two weeks have been the same. And I am thankful for the verity of work I get to do. This little one was waiting her turn to be seen in the malnutrition clinic. It is such a blessing to see these children go from sad and underweight to happy and healthy! Thank you for the part you play in this! On Saturday October 6th at 8:11 pm Haiti experienced a significant 5.9 magnitude earthquake in Port-de-Paix. It was actually the 3rd in less than 2 hours for the region. By 10 pm, reports were coming in of significant damage, injuries, and loss of life. We didn’t have an extensive amount of information but we knew that help was needed. So I volunteered to respond with HERO Ambulance to the area. They picked me up at 5:30 the next morning and we went to the airport to meet MAF (Missionary Aviation Fellowship). It was only a 40-minute flight from Port-au-Prince in their Cessna Caravan (it would have been a 6-7 hour drive). We responded with a 4-man team and would meet up with another HERO member in Port-de-Paix. We’d evaluate the over-all situation and get the necessary resources to respond. There were several Haitian agencies, including the Ministry of Health, as well as the World Health Organization that were asking us to get them information on the overall situation. When we arrived at the hospital in Port-de-Paix it was empty. After the earthquake, the staff all fled. There was no one was there to care for the injured. We responded to another hospital 30 minutes up in La Pointe (a regional hospital that people come to from all over). There was, surprisingly, very little damage seen on the drive. When we arrived, the hospital was full. It seems the damage was further away from the epicenter. There were many patients with injuries from falling cinder blocks, walls and houses. They treated and released a lot of patients already. But they still had a lot of patients with orthopedic injuries left waiting for surgery. Things were under control and every patient had a bed. They had opened their cholera center for overflow. One of our jobs was to find patients that needed to be transferred to Port-au-Prince for specialized care that couldn’t be provided in La Pointe. In the evening we had a 5.2 magnitude aftershock. I am thankful I was outside at the time as the entire hospital emptied in about 7 seconds. It was alarming to see people with severe injuries bolting for the door. And we saw kids left behind. We saw people dragging IV’s behind them. It was evident that the emotional trauma was as bad or worse than the physical injuries — and more wide spread. About five minutes later the patients started rolling into the ER. Several patients were just hyperventilated from the anxiety. One patient came in with an open fracture of his leg from jumping out of a window. And another with two broken hands and facial trauma caused from diving out a second-story window. Caring for patients carried into the ER and left on the floor. They brought several patients in and just laid them on the floor in the ER. This patient was only 13 years old and had nobody with her for a while. We got her up off the floor and into a corner until a bed was open. She was going to get run over with all the people moving around the ER. Her mom eventually showed up but. But she kept hyperventilating on and off for about two hours after the aftershock. It’s hard to know what she’d seen from the initial earthquake. Or if she had been a part of the 2010 earthquake. My heart went out to her and I didn’t want to leave her behind that night. 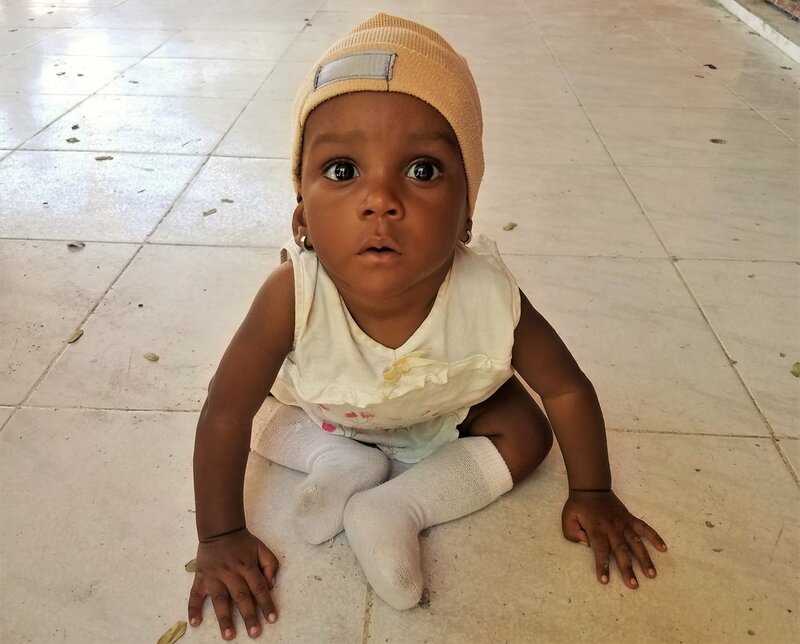 One of the patients that we had found needing transport to Port-au-Prince for additional care was a very cute little 4-year-old girl who had been hit in the face with a cinder block. She had a displaced jaw fracture. She was doing pretty well considering her injuries and only receiving Tylenol. MShe was very scared after the aftershock as well. Holdng her and comforting her was time well spent! I wish I could share a picture of her but she was a HERO patient and policy doesn’t allow that. By the next morning it was determined that no further care was needed outside of the local resources. So, we loaded our three patients, three family members, and four-man team in the plane and headed back to Port-au-Prince. Thank you to everyone that’d seen my posts on Facebook and were praying for me and for Haiti during that time! Blowing some milk bubbles because were happy and healthy!!! Who doesn’t love cute kids!! I am so blessed to be able to work with these sweet little ones! Some of the best moments here are when we have graduations!! When kids graduate from the Malnutrition clinic it’s a good day! A recent Maternity Graduate showing off her graduation present! We are also starting to get quite a few graduations from the Maternity clinic! This is Marylove and she came in for her final visit with her brand-new baby. They always laugh when I tell them they have finished the program and then as I hand them back their baby I tell them this is their graduation present!! Cilvi is 13 months old and weighs 9.4 pounds. Her mom brought her to the clinic, desperate for help. She told us that she had just been released from the hospital. She said she was in the children’s hospital for a month. Of which, 18 of those days were in the ER before she got a bed. She said that she has something wrong with her heart and she was not getting better. Cilvi… So frail, so week, so fragile. Cilvi is very sick. She did not have any paperwork but I believe from her heart sound that she probably had a condition called Tetralogy of Fallot, which is actually four heart defects together. We made arrangements to get her to an inpatient malnutrition/medical center to try to get her to gain some weight and then try to get her medical care, knowing that she could never have a surgery at her current weight. I got to spend a little time holding her and loving on her before she left for the inpatient center. I hoped she knew that she was loved and people cared about her. It wasn’t much of a surprise that only about 12 hours later she found healing — in the arms of Jesus. Her heart is perfect now and she is no longer sick or malnourished. While it is for sure a sad day for her mother and family, you can’t wish her back to this broken world. Some graduations are different and seem more bitter than sweet until we really think about it. There are so many more stories that I wish I could share with you in this blog. Some sad but many happy stories. Please know that lives are being changed through you and your faithful support of the ministry of Kelby’s Kids here in Haiti, both for this life and eternity! From August 30th to September 2nd I had the privilege of making my second trip to Port Salute. I was last there in November of 2016 after Hurricane Matthew devastated the southern peninsula of Haiti. This time it was to visit some friends, have a little time away from the big city, and to also do a medical clinic in a unique place. It is about a 6-hour trip from Port-au-Prince to Port Salute. We left at 5:30 in the morning but didn’t make it to far until we ran into some burning tires (a “demonstration” was brewing). We had to take some back roads to get around the issue. When we returned to the main road it was evident that something was still going on ahead. We asked the people who were hurrying away from the area and they stated that people were taking keys out of vehicles and running off with them. So, a few more side streets and we were back on the open road, and on our way to Port Salute. After we got settled in we decided to head out on a little adventure. We made our way to one of the local water falls. It was refreshing to take a little swim and have some fun. It was fun to swim up under the falls and sit behind it while the kids jumped off the top! After a swim we decided to go to a bull fight. I was not aware that they had bullfighting in Haiti. But, turns out, it was not the traditional bullfighting I was thinking about. There was about 100 people standing in a field. There were also 8 or 10 bulls and their owners (the bulls were each on a rope). They would just walk them around to see if they would get mad enough to fight another bull. I think the 8 white people who’d come to the bullfight may have been more of an attraction to the locals! It was fairly slow paced and we got bored so we left to find dinner. The next morning, we were up early for a 1-hour drive to Les Cayes to meet our boat. Or medical clinic was out on the island of Ile-a-Vache. It had been raining all morning but as we pulled into the parking it quit raining and the sun came out! We loaded our supplies and 12-person team into the boat for our ride 7 miles out into the ocean. Unfortunately, the sun was short lived. It started getting dark, then the wind picked up and the temperature dropped. Then it started raining and then it started pouring. At one point we had lighting on both sides of us. We were pretty wet by the time we arrived. The clinic went well and we were able to see about 150 patients and help them with there needs. We also do a lot of medical education with them. Their medications will only last a short time. And we need them to change their lifestyle — for better health. If you’re going to do a mobile medical clinic, what better place than this?! While the main purpose of the trip was to bring the love of Jesus to the some of the people on the island through medical care, it was also a much-needed break for me. As you read in an earlier post this week (the LOWS of “The Lows and the Highs”), life is often stressful in Haiti. This trip was refreshing, and a good break for me to get away from the continual need, and to have a little time for myself. I have not done enough of that while in Haiti since I started working here full time in November of 2016.
. . . You Can’t Pour From An Empty Cup . . . Enjoying a fresh lobster dinner on the beach at sun set. Thank you for faithful and continued support of Kelby’s Kids! Together we are bringing hope and healing to many! 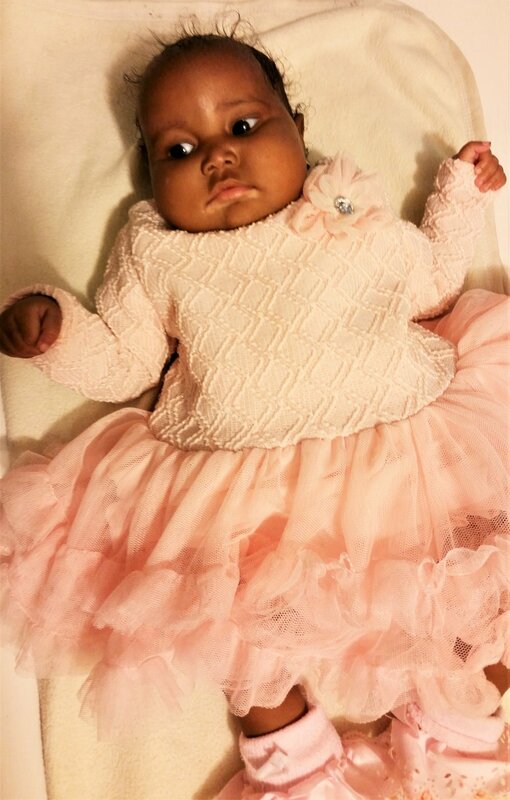 She wasn’t having any complications when she came to the maternity clinic, but, the following week, when she returned before her scheduled appointment, things had changed dramatically. She was only 17, but she instinctively knew something was wrong. After assessing her, it was apparent that she was probably going to have a miscarriage. And nothing could be done about it. She was only 26 weeks along. The baby would never make it, if it was even born alive. I explained to her what was happening and what to expect. And she went home. I was expecting to see her at the next maternity clinic for follow up after the delivery. I wasn’t able to be at medical clinic the next Monday morning because I was busy with another patient off-site. I was shocked to get a message that she came to clinic ... with her baby! She had delivered at home two days before (on Saturday night)! The Mom and I set up a system where she could call me if she needed to, but on Saturday night she didn't answer her phone when we called her (because Digicel, the largest of the two cell services in Haiti, was having a major system failure on Saturday). The Mom said that she had taken Christopher to the hospital but they would not let him in because at only 930 grams he couldn’t be helped. He was not quite 27 weeks when he was born but somehow after 36 hours of only being cared for by mom he was still alive. Contact was made with an organization that cares for these little babies and transportation was arranged. I arrived just as they were ready to get into the truck. I got to hold him for just a minute. He didn’t look real. He was so tiny and frail looking. He broke my heart. Christopher received very good care at God’s Littlest Angels. When he arrived, they said that by his size, weight, and physical characteristics, he was a 25-week gestation baby. He started losing weight and was having more and more issues. He dropped under 2 pounds. 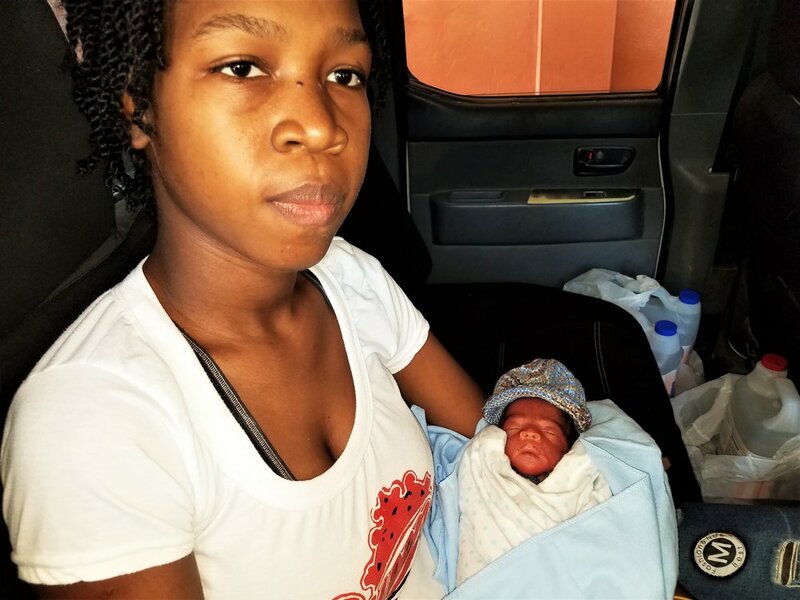 Sadly, this just isn’t a survivable age here in Haiti… After 7 days of fighting for this life Christopher went to be with Jesus. We know this box only holds Christopher's earthly shell, and I look forward to the day when I will be able to talk to Christopher. Christopher’s mom came back to clinic this week and we were able to love on her and help her out with some of her needs. Please remember to pray for mom as she deals with the loss of Christopher. Although not all of our stories are success stories, it is important to remember that sometimes the HOPE is the most important part. Bringing Hope and Healing to the children and people of Haiti because of the continued and faithful support of people like you! Watch for another post later this week to see the highs of these lows. It’s so good to be back home in Haiti!! It’s a little hotter than Michigan (except what I brought back with me the end of June, you're welcome!) but I am readjusting quickly. My time at the summer camps was a blessing and a needed break from Haiti but I missed my kids and the people I work. I was ready to come back. It was a busy day on Monday for medical clinic. We had some additional help so we were able to see over 75 patients. We started the morning by seeing with a young lady who woke up to her sister cutting her up — because her sister was high on drugs. She needed some stitches and antibiotics for her wounds. Tuesday was a more relaxed day for me in the malnutrition clinic as the PA who was here assessed the kids as they came through. It was good to see the kids that have been in the program for a while, as well as new ones that started while I was gone. I was a little worried how Wednesday would go for the maternal health clinic with 28 patients scheduled. I hate to have the mamas setting on wooden benches for hours waiting to be seen. There were 8 patients that did not come for their appointments. I am worried about them and hope they will be able to come to the clinic this coming week. Please pray with me for these moms as some of them were not due for a while and some had some underlying medical issues. It’s hard to say what may have happened to them while I was gone. I gained five new patients, two of which made appointments with me before I left for Michigan. But the other three were walk ins. So, we continue to grow! We had five moms come in with their new babies this week! It's always encouraging to have positive success stories because of the maternity clinic! One of my moms got a little excited to graduate from the program while I was gone. 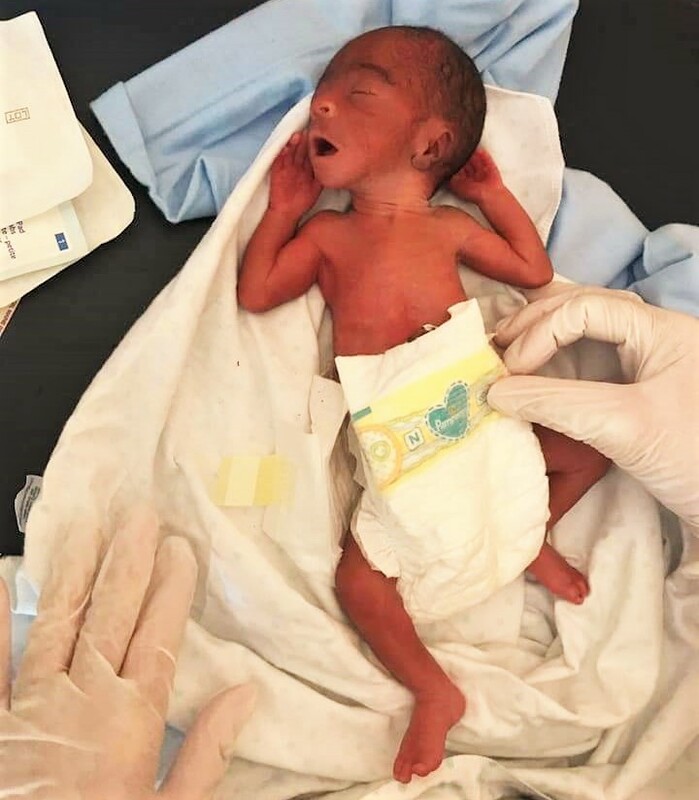 Daylon was born at 32 weeks on June 28th, the day after I left Haiti. He was 3.96 pounds when he was born and is was up to 5.43 pounds on August 8. I am very happy that Daylon is doing well and his mom is taking good care of him! I want to give you an update on the vehicle fund drive that kicked off on July 16th. I am so blessed and humbled to report that, after four weeks of fundraising, our fund total sits at $12,287.62! Hopefully we are about half way there! I just saw a post on one of the Missionary Facebook pages yesterday where someone asked the vehicle question. There was an overwhelming push in the comments on that post to buy new and buy in-country. Many people had bad luck with used vehicles in Haiti. As well as when they'd ship U.S. vehicles into the country. Many missionaries indicated our current amount of over $12,000 would not even cover shipping and customs fees on a good vehicle! (WOW!) Many stated how paperwork issues delayed the pick up by months from customs — and there's a customs charge of $20.00 USD per day for storing the vehicle! Continue to pray for discernment as I continue this process of finding a vehicle I can afford. Personally, buying a vehicle for the ministry isn't as rewarding as feeding a little baby. But I believe it's what's needed to help the ministry become more effective and grow. If you haven't given yet, please consider a tax-deductible contribution to our Vehicle Fund. I am going to work at shortening the blog posts a little and making them a little more frequent in hopes that people will have the time to read them. Many people have said that they run out of time and get behind on the blog. I'm so thankful for each person who has been a part of Kelby’s Kids through prayer, encouragement, and support! The children of Haiti are blessed because of you! We’re running another fundraising challenge this week! KEEP ON TRUCKIN’! Following the thrill of our fundraising drive last week, ANOTHER anonymous donor has issued a challenge of their own! If we can raise $2,000 by the time I leave Michigan and land back in Haiti (on the afternoon of Aug. 4), THE DONOR WILL MATCH IT WITH $2,000 MORE! WOW! Your gift this week can be doubled for Kelby's Kids Vehicle Drive! Help us raise $4,000 this week! Thank you! Make a donation on the website! Thanks to you, we resoundingly met our challenge grant I announced on Sunday's blogpost! I am blessed by your extravagant generosity!! As you may know, an anonymous donor challenged us to raise $500 by the close of the day Saturday (my birthday). And if we could raise $500, they would match it with another $500. I'm thrilled to say we met the goal in the first 24 hours! Thank you, thank you! We zoomed past the original goal of $1,000 all the way to nearly $4,000! So, during this stretch time, I'm wondering how much further we can get down the road toward a fully-funded vehicle! What started as a little campaign to jumpstart fundraising, has turned into exciting evidence of what God can do through you! Thank you! Please consider a donation before midnight tonight! What kind of vehicle should Kelby Kid's drive around the bumpy roads of Port-Au-Prince? A VW Westy? On yesterday's blogpost, I was excited to announce a new fundraising drive for Kelby's Kids. And as part of the campaign, an anonymous donor has challenged us to raise $500 by the close of the day on Saturday the 21st of July (my birthday). This email is meant to be an encouragement to help us raise $500 in new funds so the donor will match it and turn it into $1,000 — which will give us a jumpstart in raising funds this summer to buy a vehicle for the ministry in Haiti. Please consider a donation today! Share this with your friends, your church, your social network! Also, if you'd like to participate in the fund-drive through your own matching funds campaign, email me and we'll schedule it and announce it to the list. There are many ways you could make a tax-deductible challenge grant; anonymously, publicly, in the name of your business, in memoriam of a loved one, and more. Thank you for your consideration! Beneath the donation button is a repeat of the portion of yesterday's blog where the fund drive is introduced. Click here to help us raise $500 this week! My goal is to have a vehicle by my two-year anniversary. Today I'm starting a vehicle fund drive to help cover the cost. How big is my financial goal? I would love to give you a dollar amount, but I'm still looking into the options available. Everyone in Haiti has a story about the best way or place to get a vehicle. "Get it in Haiti." "Ship it from the US?" "It needs to run on gas." "It needs to be a diesel?" "Get a new car." "Buy it used, for sure." "Manual!" "Automatic!" And on and on. I am so blessed by the willingness of many of you to use your hard-earned money to support the work of Kelb’s Kids in Haiti. I want to be a good steward of the funds that are given, both now and in the long term. Gas engines are cheaper than diesel but diesel lasts longer. Cheaper vehicles, while less expensive, often start incurring maintenance costs soon after the purchase. Used vehicles in Haiti are overpriced. It’s common to find a 10 to 12-year-old vehicle for $8,000.00 or more. And the conventional wisdom about wear-and-tear is that "a year in Haiti is like five years in the US." So, a 12-year-old vehicle has a comparable 60 years of wear-and-tear on it! If I buy a used car I need to be careful of the fact that many available vehicles were actually salvaged from being underwater in the recent hurricanes in the US. Decisions, decisions! There's still much left to consider, but one thing's clear — I need to start to raise funds now. I need to get a vehicle. And the funds available will also determine my options. If you would like to make a donation to the Vehicle Drive please put a note in comments section on Paypal, or in the memo line of your check. I know God is faithful and will provide what I need — even though I don't know how much I need! To give things a jumpstart, an anonymous donor has issued a challenge. If we can raise $500 between now and 11:59pm Saturday (my birthday), the donor will match it with another $500!Your gift this week can be doubled for Kelby's Kids Vehicle Drive. Help us raise $1,000 in one week! Make a donation today! Thank you! I wanted to start with a little cuteness because I have been told that there has been a cuteness shortage lately! So here you go! Not feeling so good. But still very cute. I am back in Michigan for a little break for the summer. I'll be here for five weeks and have four weeks of summer camp that I am working at — providing medical care. It's nearly half the time I was in Michigan last summer. I was gone from Haiti for too long last time. There's just too much to do and too many people depending on me to be gone from Haiti for long stretches of time. Some of the people that will be missing me are my Mamma’s in the Maternal Health Clinic. Things have been going well and I want to give you an update on the progress of the new clinic. I have had 34 moms enter the program since it’s official start the 7th of March 2018. Of those 34, 25 of them are still current patients in the program. It’s been a rough start for the program with success stories. Of the 9 that have left we have only seen one baby. He was a healthy boy born to a malnourished mom. Mom and baby are doing well — so that was exciting for us, given the short amount of time I had to work with them. Unfortunately, seven of the moms have had a miscarriages. So, it’s been a little frustrating as we start out. One of the moms stopped coming and we simply don’t know what may have happened to her. I'mm very excited to get back to the clinic and see what has happened while I was gone. I care for seven moms who will have births while I am in Michigan. And two more who are very close. I saw 21 moms on June 20 before I left. And I stocked each one up with over 1,300 prenatal vitamins, to get them through until I see them again. The next clinic day will be August 8th and I currently have 28 appointments. That will be a very very busy day. During their visits to the clinic, we educate moms on how to care for themselves, how to have a safer delivery with less complications, and how to care for their babies after they're born. We monitor them for gestational diabetes, preeclampsia, and work with them on how to improve their anemia. Only one of the 34 moms we care for hasn’t been anemic. It's a very real struggle to get them to a place where they can have a delivery without risk of complications from even a normal amount of bleeding. For those of you that may have missed the posts on social media, I was involved in a motorcycle accident on June 10 while going up to a remote location in the mountains for a medical clinic. We hit another motorcycle head-on and my left leg was hit by the other motorcycle. I've had a lot of pain and it's finally almost resolved. Many of you advised me to see a doctor. So, I finally did. Based on the x-rays, we knew there wasn’t a fracture in the leg. The final diagnosis was possible "compartment syndrome." It could have explained the cause of the intense pain. I also had some nerve damage. And the remaining pain is most likely due to the healing process and the bruising. But the good news is I should have little to no long-term issues! Thank-you so much for all of your prayers, encouragement, and concerns for me. I arrived in Haiti in November of 2016. I have been living and working in Haiti for 20 months now! These shoes are only made for walking and I need to drive! During that time, I've walked many many miles and have worn out two pairs of sandals. It's time I start putting some miles on a new car! Twenty months without my own transportation is a long time. It is more than past time I get a vehicle — so I can be more effective, independent, and better able to respond to emergencies. It is also safer than walking when there is trouble on the streets (like there's recently been). I am so blessed by the willingness of many of you to use your hard-earned money to support the work of Kelby’s Kids in Haiti. I want to be a good steward of the funds that are given, both now and in the long term. To give things a jumpstart, an anonymous donor has issued a challenge. If we can raise $500 between now and 11:59pm Saturday (my birthday), the donor will match it with another $500! Your gift this week can be doubled for Kelby's Kids Vehicle Drive. Sometimes when you're hungry, the fingers have to due! I'll close by giving you a little more cuteness for good measure. I am thankful for my time in Michigan. And I greatly enjoy summer camp. I also know how important it is to take a break. I'm already looking forward to being back in Haiti to see what this fall has in store. Thank you again for being a part of the team that makes Kelby's Kids possible! Whether it's your words of encouragement, your prayers for the ministry, my patients and myself, or for your generous financial support. Also, if you want to make you own matching-gift challenge (like the donor in this week's Jumpstart initiative), please send me an email. You're all blessings to me! Sometimes it doesn’t take much for someone to influence us. Years ago I asked a well-traveled friend about some of the countries she’d visited. For a few minutes she shared some simple heart-warming stories, anecdotes, and good memories from her worldwide travels. One little word. It stuck around for years. I wouldn’t say it “defined” what I thought about Haiti, but, it was there — I was kind of seeing Haiti through the lens of possible despair. So it’s with that lens that I got on a plane to see Kelby. I flew from Detroit to Ft. Lauderdale. And spent the night in the airport. Early the next morning it was time to crawl out of the rocking chair I slept in and make my way onto the plane headed for Port-au-Prince. Haiti here I come. My first trip. I was greeted at the airport by Kelby and his friend, Jackenson. And we were soon pulling out of the airport parking lot. The airport’s right in town, so, within moments from the parking lot, we were driving past the city’s sights. Past broken, old buildings, tattered billboards, and dirty streets. Despair? Not yet. Kelby, Jackenson and I travel through town while Kelby acts as a tour guide. We turn from a paved road onto a bumpy road with cement curbs on either side, but with no paved street between them. Bumpy bumpy. And dusty dusty. It hadn’t rained in Port-au-Prince for a month. We stop by the building where his clinic is (a walled compound marked by a hand-painted sign which reads “Coram Deo.” Kelby drives a Saturn SUV through the opening after the security guard slides the steel gate to the side). And I’m finally able to see what he’s been describing in his blogposts! A few things click into place for me. Kelby’s stopping by, partly, to show me around, and partly to check on some supplies that were donated to the clinic. It’s a Sunday, so the clinic isn’t open. We leave Jackenson at the compound and head by car to Kelby’s room (he rents a room from Troy and Gwynn Price's home). Despair? Not yet. Kelby and I spent several hours that afternoon recording some video for his website (stay tuned!). And by the end of the first evening, Kelby and I had already spent more time together that day than during all of our previous visits back in Midland combined! It was finally time to go to bed. The first clinic of the week would be open for business at 9am Monday morning. Time to take a shower and crawl under the mosquito net and get some sleep. Without despair. Before the clinic doors opened the next morning, a short sermon is given. Kelby tells them it’s to care for their spiritual health in addition to their bodily health. The moms and kids sit and listen. Lots of kids running around. Some sick. Some not. Lots of blank faces. Many smiles, too. Kelby narrates the day to me as patients come and go. He occasionally comments on a superstition Haitian moms often believe. He points to a bracelet a mom is wearing and he talks about voodoo. From where I sat, it appears Kelby saves an old man’s life. Kelby embraces a one-year-old, five-pound, malnourished baby with a deformity as though the child was his own. And he goes to work to nurse him to health. 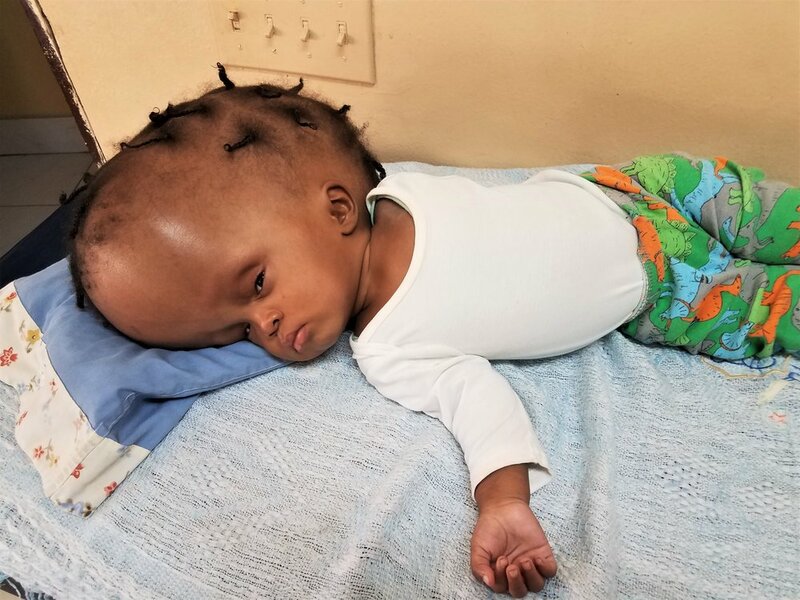 The sick, deformed baby had been turned away by the local hospital due to his deformity. Luckily the momma had heard of Kelby’s free clinic. If there was despair at the clinic, it was being held back, squelched, one patient at a time. When Kelby’s stethoscope was placed on the chest of a wheezing child. With each little packet of tums given to pregnant mom to help her with indigestion. With each can of formula set aside for a malnourished baby. With every package of peanut butter handed to dad for his kid. Perhaps despair wasn’t showing up because poor moms and dads were treated with dignity. And that’s just the first day I was there. There’s another day of the exact same thing. And then there’s *another* day of the same thing. Even as we were walking through the trashy trashy ravine I was reminded how I can’t let innocent little things my friends say influence my opinions of things I know nothing about. In this case, Haiti. And hopelessness. This quick report is not meant to dismiss the real and present needs in Haiti. There's brokenness and poverty and sickness and pain — and a lot of people need the real Jesus. But, what I saw through Kelby was a picture of a man putting one foot in front of the other and simply walking toward the brokenness and sickness in order to be the healing hands and feet of Jesus in Haiti. Maybe that's the kind of thing that keeps despair at bay. I was blessed beyond measure to spend those four days there. Not only by getting to witness Kelby’s good work, but by God showing a bigger picture of what He was up to. Not as missionaries. Just as people deciding where in the world they wanted to retire to. Not a sign of a place full of despair. I’m on the plane sitting by the window in an exit row. At 6’ 4,” I’m always thrilled to get a seat in an exit row! Plus, this time, there wasn’t anyone sitting in the middle seat next to me! The captain was giving his announcements, the flight attendants were making sure we’re all buckled up for safety when, lo and behold, a last-minute passenger rushes onto the plane as the attendants close the door behind him. The very last guy through the door makes his way back to row 13 and sits right next to me. The plane is ready to take off now. And that’s a little story of what I didn’t see in Haiti. I had a new patient come into the malnutrition clinic this week. His mother is sick and he needs a little help. He is almost 5 months old — and weighs only 7 pounds. His dad has done a great job taking care of him, but doesn’t have enough money to feed him anymore. He was reported to have been born at only 910 grams (2.0 pounds). 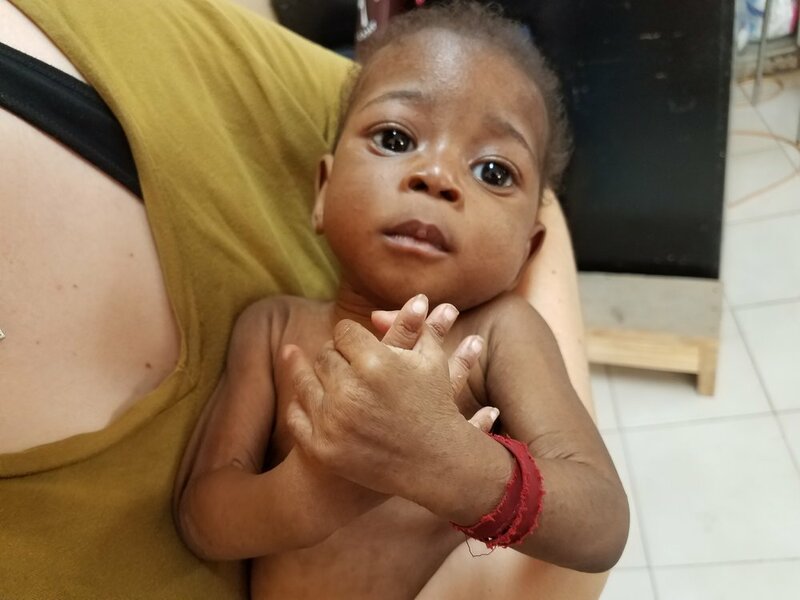 It continues to amaze me how small some of these babies are when they are born — and are still able to survive here in Haiti. Praying we can help Christopher to grow up big and strong!! In my last post I told you about Samuel. Well, there have been some changes with him. On Monday, Samuel came in to the clinic with his mom because a couple of his sisters were sick (Sam is baby #11). On Tuesday, Samuel came into malnutrition clinic for his appointment, and was very sick. It was reported that he had been having severe vomiting and diarrhea. He was down to 2.19 kg (4.8 pounds). It doesn’t take long for these little ones to crash from dehydration. We tried some fluids to see if mom was just not trying. But everything came back up and out. So, we decided that an IV was the only fix for him. Sometimes I feel like I am losing some of my EMS skills — as I don’t do a lot of American type EMS stuff here everyday. So, it was truly a blessing that God guided my hands to get an IV on this dehydrated 4-pound baby — on the first try! Especially as I really only found one place I could try. I got the IV with a scalp vein. He responded well to some fluid but after maxing him out with 60cc's of fluid (about 4.5 of the single serving peel-and-pour coffee creamers), he really needed to continue to get more fluid later in the day. We were very concerned with sending him home with this scalp IV. If something would happen, he could bleed to death before someone caught it. So, we decided one of the inpatient malnutrition centers would be best option for him. He was sent up the mountain for further care. It really looks worse than it is, plus he feels better now — and is keeping fluids down! 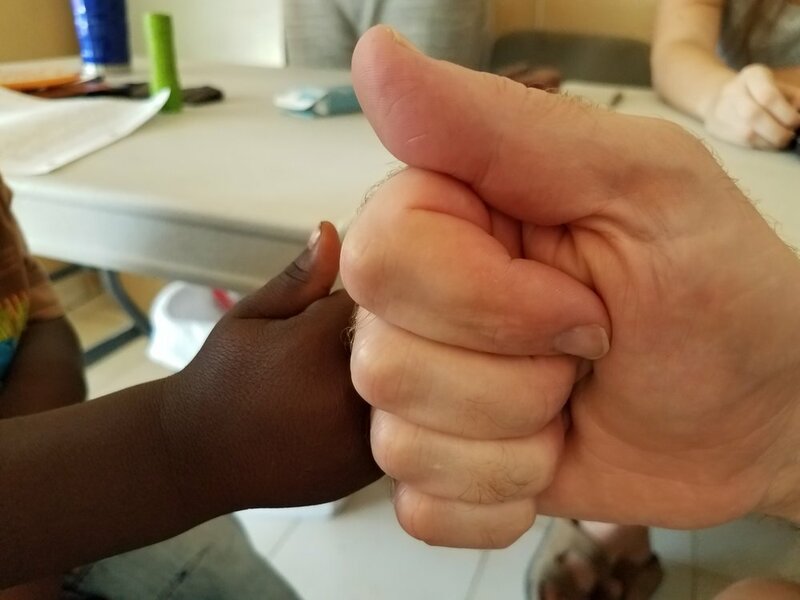 The next day we got a message from a friend that also has a ministry in Haiti and said "I think we both have something in common… we both helped Samuel!" After a conversation, it was decided that Samuel’s mom was lying to both of us and taking advantage of our programs — and, possibly, others as well. A trip up the mountain was scheduled for the next day and we were going to call her out on her actions. When we arrived, we discovered more untruths! We learned that the mother tried to leave the clinic (with Samuel) the night before, but was held by security and not allowed to leave. The look on her face told it all — when Mom walked into the office and saw people from three separate malnutrition centers standing there! But, as often occurs, without hardly missing a beat, she went into a story about how she hadn't lied. She said she was doing what she was supposed to do, and it’s not her responsibility to share her business with the other clinics she goes to — especially if the clinics don't specifically ask her if she's in any other programs. It was pretty obvious that Samuel was being used as her "business." She knew the day before that he was getting better (and she doesn’t want him to die). But, the sicker Samuel looks, the more money she can make off of him. She couldn't explain why he had gained more weight in the previous 50 hours as he had in the previous 5 weeks. Samuel was getting very little of the formula that our clinics were giving her. She was given the chance to come clean and apologize. Instead, she asked about money. She was given very specific instructions as to how things were to continue with the inpatient program. She was told that Samuel would not be leaving until he's big and healthy. She was advised that if she breaks any of the rules, she would not only be kicked out of the inpatient program, but not to bother coming back to any program. It is such a burden to our heart to have to be like this but allowing people to take advantage of your program for financial gain. The child is no better off in the program as they don’t get the help anyway. We had a few mothers that did not come to clinic this week. Maybe the word got out! We had another conversation with the parents who were at clinic… but it will always be a struggle. There was a great team that stayed in the guest house last week. It was such a blessing to have them. Samuel was truly a source of mixed emotions as his story played out during the week. I was truly blessed and humbled at the beginning of the week by one of those team members. He said that God has placed my ministry on his heart. Through a mutual friend he became aware of a way to bless the work of Kelby’s Kids and the new Maternal Health Clinic. He purchased and brought down with him this new portable ultrasound machine! It will have such a HUGE impact on the level of care that I can provide — not to mention the lives that'll be saved. I have had to send 2 mothers already for an ultrasound at $4,000.00 HTG. Plus, I lost contact with one of them for a while after it took some time to get it done. I had 3 moms that I would loved to have given ultrasounds, but ended up just watching them. The first day it was used, I was able to check 3 healthy babies, confirmed a set of twins, and, unfortunately, confirmed 2 miscarriages. One of them had been told she needed a D&C. At General Hospital, because of the poor conditions, it could be deadly (not to mention, the hospital is on strike again). But with the ultrasound, we could tell that the miscarriage was complete and there was no need for a dangerous D&C. This ministry has truly been blessed! There are burdens and there are blessings. I am thankful and blessed by each person who has partnered with the work of saving lives and making a difference to the children and people of Haiti. Some days the scales may seem to be tipping the wrong way but it is always short lived as together we continue to make a difference for so many. You don't see many pacifiers down here. When you do have one you need to be sure you don't lose it. 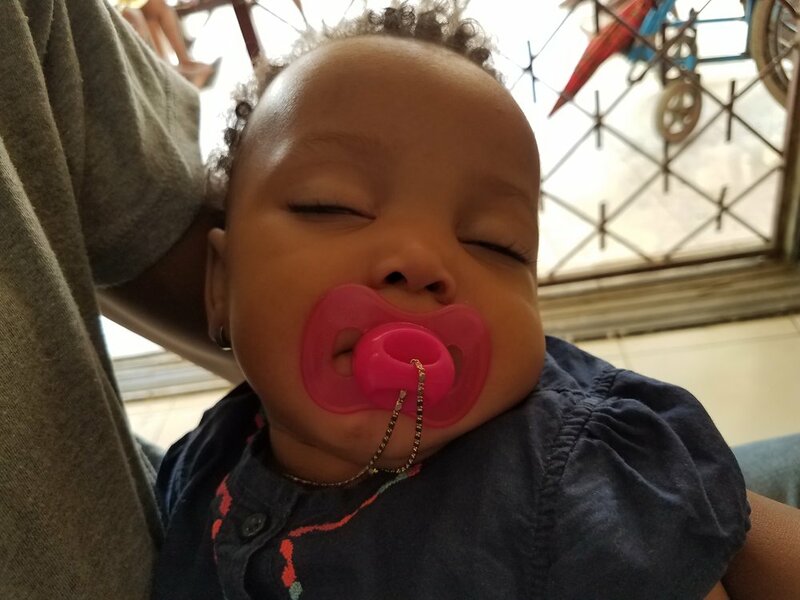 So a little bling keeps the pacy safe! So, I leave you with a little cuteness but more importantly a life that has been changed because YOU cared enough to help her! Can You Really Be So Little? I know I am behind on my updates from Haiti. I had hope to write during my “Spring Break” but it was a very busy time. I was able to come back to Michigan for 2 weeks for a little break. It was a very busy time getting some things done, meeting with people about Kelby's Kids and catchhing up with friends. I was hoping for some half-way decent weather in Michigan — but it was not meant to be. I guess when you live in the Caribbean and you go to Michigan for spring break you have to expect it. Snow arrived within hours of my arrival and remained until after I left. It even got down to zero one night. I wasn’t happy — but it sounds like the following weekend (after I left) was even worse!. Just before I left Haiti for break, we had a busy week in clinic. On Tuesday, we had two babies come into the malnutrition clinic. They were both so very little. When I saw the weight on the slip I thought "can you really be so little?" The first little one weighed 1.5 kg (3.3 pounds). She was a month old. Mom reports having problems and delivering her at home around seven months into the pregnancy. She said that the baby just wouldn’t grow. Momma is feeding beans and rice, chicken, mango and bananas to a one-month-old, three-pound baby. It’s simply amazing that the baby is still alive. I assumed she was a new mom. So, it was shocking to hear that this baby was her 11th! And only one has died! We made arrangements for her to go outside of Port-au-Prince to an inpatient malnutrition center for around-the-clock care and education. Once she arrived she decided that she wasn’t going to do it ... and she left. Sadly, we have not heard from them since. Our second little one was Samuel. He was the big boy at 1.8 kg (3.9 pounds). Except he was two and a half months old. Samuel coming to get some real food! He was very cute and seemed to be doing quite well, all things considered. His story is a little different, but not much. His mom had actually come to the clinic twice (before we were an official Maternal Health Clinic). She started the program and when she came back for her second visit, And it was obvious that there had been a big change. She was very sick. She was obviously suffering from Preeclampsia — with very high blood pressure, very swollen feet, many complaints, and even some cardiac issues. We sent her to the Doctors Without Borders Hospital a short distance away, but she was transferred to a second hospital — because they didn't have any beds (the Doctors Without Borders Hospitals in Haiti are all closing this year and that will make it even more difficult to get help for the moms in the program having trouble). The second hospital would not care for her and she was sent to a third hospital. The third hospital told her to come back later — and then she went home. We lost touch with her and assumed that there was a good chance mom and baby had died. Praise God that was not the case!! She went back 2 days later and they did a C-section. Samuel was also born around 7 months at 1.4 kg and spent 2 months in an isolate of some sort. During his 8 weeks in the isolate and the next couple weeks at home he has only gained 0.4 kg to his current 1.8 kg (with a diaper) weight. When mom was asked if she was breast feeding him, she said she wasn't. She said he dried up during the 2 months he was in the hospital (hard telling what they were giving him). When asked what she has been giving him she said "pudding." My first thought was that’s probably even worse than the sweetened condensed milk that most people use. But then she explained that pudding was saltine crackers crushed and mixed with water. So, he has been given virtually no nutrition for who knows how long. We started him on formula even before he left the clinic. He has been doing well and is slowly gaining weight. A mother and child are 2 more lives saved!! Please remember to pray for Samuel as well as the other little one as they struggle to survive in this difficult culture. One of my patients the other day was very cute little man and I realized that he was trying to give me a fist bump. After he would give me a fist bump he would tap his chest with his fist. I am sure that he has seen the bigger boys doing this. I think this was his way of showing appreciation for what he has received through the malnutrition program. It’s such an encouragement to see him growing up big and strong! And because YOU make it possible for me to help him! Thank you my little brother! 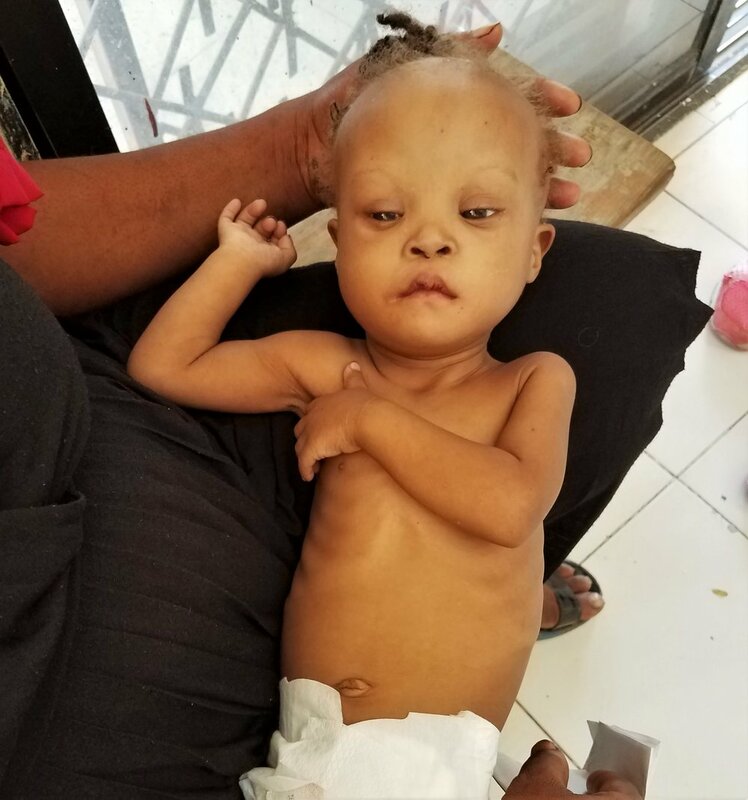 You may have seen the posts on Facebook about Ruthchina, the little 10-month-old we sent to inpatient malnutrition on March 21. She was only 9 pounds at 10 months. She was very sick with Pneumonia and had a high fever, as well as malnourishment. She initially did really well — but has since taken a step back. She is having problems with her lungs again. Please remember to pray for her as she struggles to regain her health. I am sad to have to report that we have lost track of Guerna (the young lady with the bad burns on her chest, abdomen, and left arm). She has an appointment this week for reconstructive surgery. We have been trying to get in contact with her to let her know, make sure she was doing well, and get her some extra food and vitamins so she would be healthy for surgery. But she no longer lives in the neighborhood. Nobody knows where to find her but we were told that it’s rumored that she was possible sold as a Restavik again. Please pray for Guerna that she would be able to get out of this child slavery and find the help she needs. Traumatized, deformed, and disabled. And now a child slave for the second time. I am pleased to report that there are already 9 moms in the Maternal Health Clinic. I am excited to see the improved health for these moms and their babies, preventing the need for further medical care in the wake of the hospital closure, and reducing mortality for both the babies and their moms! I continue to be blessed and humbled by your faithful prayer and financial support of this ministry. I would not be able to do all that I am doing without you! Please consider sharing this ministry you are involved in with others. The more we come together, the more we can accomplish! Midland Daily News recently covered an event where I spoke! As a critical care paramedic, Kelby Klassen was not trained to administer stitches, but it was a skill the Midland native learned as a doctor in Haiti. "You have to learn as you go," Klassen said. "I'm the doctor for a lot of people, it's me or nobody." Read the rest online at the Midland Daily News website. All photos are copyright of Midland Daily News. Why do I suffer because of my mom's choices? In my last blog post I started with a story of a little boy who got burned with boiling water. I posted a picture of him after I finished his dressing change on Wednesday. On Friday he never came to the clinic for his dressing change. That night I was at the guest house next door talking with the team and they were telling me about a little boy that they had found down in the ravine that day. They said that they had gotten a picture of him so I asked to see it. Now I know why he didn’t show up. They said they found him setting in the gutter playing in the dirt eating trash with no adults around anywhere to watch him. He didn’t have any bandages on his burns and he was very dirty. His worst burn was on his left leg and under his arm. But you can see the burn to his arm and a couple other spots on his leg. This is the reality of work here in Haiti. Haitians have limited access to medical care but when it’s available they often still don’t follow through until things are healed. I have not seen him again. I hope and pray he is doing OK.
At malnutrition clinic many of the Mamma’s really do care about their kids and get upset when other moms try to take advantage of the program. We love all the kids that come through our door but some of the Moms, and a few dads, are a little more difficult. I took just an extra couple of minutes to love on this little angel (pictured above) before I had to be the bad guy and kick her out of the malnutrition program. We had a confidential informant that told us a mom was breastfeeding her daughter, but accepting free formula from our clinic, and selling the formula on the street. The informant confronted the Mom but she didn't listen, and didn't care. We confronted Mom about it — and she had an excuse for it all. She had no problem with us checking to see if she had milk, and I guess assumed we wouldn’t be able to find any. When the milk came it was like someone punched her in the stomach. Her head dropped, her shoulders sank and she knew it was over. She made a few more excuses before giving up and leaving with her daughter. She was able to steal from us for 9 weeks but it eventually caught up with her. But, like we tell them all many times at the beginning of clinic, "we do our best to be good stewards or what the Lord has given us to help the children." It’s not a guarantee, though, that someone tricks us. Some day they will have to answer to the One to whom this formula truly belongs to! We have had a lot of sick kids in the last couple weeks. One of the struggles in Haiti is moms not understanding that milk isn’t always milk. They don't want to breast feed there children for a variety of reasons, most of which are from cultural misconceptions. It’s common here for people to try to raise their kids on canned “milk” (Yes! The sweetened, condensed kind!). I normally say, "so, your raising your kid on coffee creamer?" But they don’t even know what that means, so, in that instance, my translators don’t even try to explain to them what I'm saying. An IV is the result of poor maternal care due to lack of basic knowledge about children. This little girl had a blood sugar over 200 and was dehydrated as they don’t get the quantity of fluid they need with the canned milk. She was not responding well and was not looking good. I stated an IV on her and gave her some fluid to re-hydrate her and help her body process the sugar. About 10 minutes after she came in, another little guy came in — with the same story. Except, this time, mom had run out of canned milk. Since he had been getting so much sugar, his insulin production was increased and when she stopped, suddenly his body wasn't able to respond fast enough. His blood sugar dipped to 57. We had to get some formula in him to help bring his blood sugar back up — so he would wake up. I am excited to announce that the Maternal Health Clinic officially opened this week!! I have been caring for Mamma’s since I arrived in Haiti, but now has its own clinic. This means there is now a medical clinic, a malnutrition clinic, a wound care clinic, and the brand-new maternal health clinic. Many lives have been saved already through Kelby’s Kidss work with expectant moms, and I look forward too many more. Our first patient is shown below! Excited about this mothers decision to join our maternal health clinic. This is mom has Dossier # 1! When you go the hospital, you can’t be seen until they create your Dossier which is your chart of file. I am extra excited that this mom was the first one here this week to take part in this clinic. Last week she came to medical clinic with her kids. They were all sick. After they were done she asked if she could get a pregnancy test. It came back positive. I was a little taken back by how quickly and openly she said well I don’t want another baby, "so I will have an abortion." Abortions are illegal in Haiti but the guys that walk around selling medications will give you a concoction of pills that, if it doesn’t kill you, it will often cause you to lose the baby. I talked with her for a while but her mind was made up. I told her I hoped that she would reconsider and that her baby was alive and if she chose to kill it she will certainly have to answer for that someday. She left the clinic and I was left with a heavy heart. About 5 minutes later she walked back into the clinic and asked if I would help her with the pregnancy if she kept the baby? I said "YES!" I made an appointment for her to come back the following week. I was cautiously excited as I knew what the week of thinking about it — and pressure from her friends and neighbors — could bring. It was a joy to have her walk into clinic a week later wanting what was best for her and her baby!! These twins are a part of the malnutrition program. They were hanging out today and it was so cute to watch them and see how much they loved each other. They spent about half of the time together holding each other’s hand. I had a pleasant surprise at medical clinic this week that took me back a ways. On June 17, 2017, I posted about Roseline. She was 3 months old at the time and had fallen off a bed, landing on her head. She had a depressed skull fracture and I took her to the hospital for care. One Monday she came to clinic after 5 days of a high fever, vomiting, diarrhea, and not being able to keep anything down. We attempted to give her some Pedialyte but it came back up. It was obvious that she would need an IV. I remember it taking 7 tries to get an IV in her at the hospital — and that was after an acute injury. Now she was extremely dehydrated after being sick for 5 days. Despite being sick she was still fighting the IV and it took several people to hold her down. Thankfully on the third attempt we got a good IV and got it secured successfully. After some IV fluid she started to perk up and you could tell she was feeling better. We made arrangements for her to come back the next day for more fluid. I had a pretty good idea where she lived from the incident in June, and hoped I could find her if she didn’t return. Cute as a button — even with a little depression in her forehead! She came back the next day doing and feeling better. Through talking to her mom we discovered that she was doing better but she had given her a Tylenol overdose in the short time she was home. We prayed that the IV would still be good as she could use a little more fluid for her sickness but really needed some help to flush the Tylenol from her system. The IV ran beautifully and we were able to get her well-hydrated. Mom was very appreciative! And I think Roseline was too, despite the Piki. Despite the struggles that life in Haiti brings to all missionaries here, I can’t think of any other place I would rather be! It’s a blessing to be able to be a part of, and to make a difference in the lives of these kids and other patients at the clinics. They may not be able to say "thank you" but you can see it in their faces and feel it in their hugs and snuggles. If you would like to be a part of the blessing of helping these kids there are several options on this web site. Then, when you see the pictures of these kids and hear the stories you can know that you were a part of that story. There will be additional operating cost for this Maternal Health Clinic but lives have been saved and many more will be saved through it. 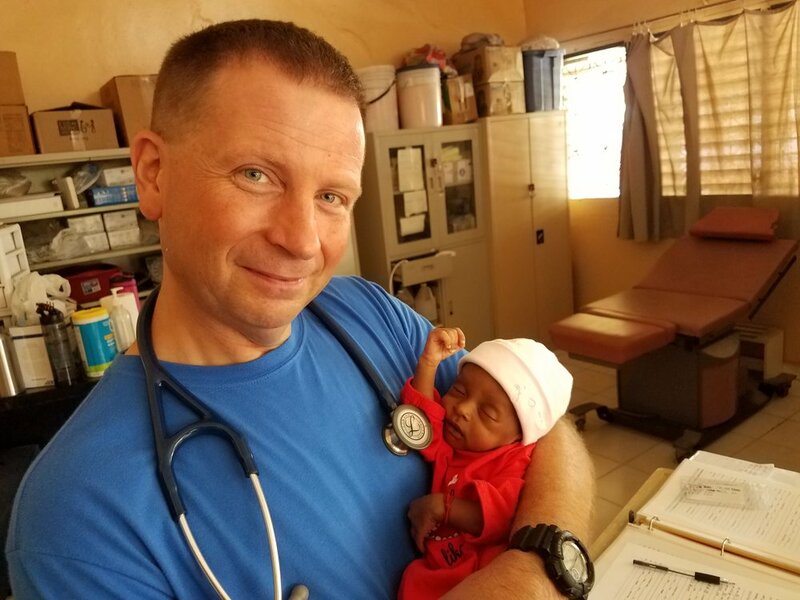 I am always humbled by those who are already partners with this ministry and allow me to use the skills God has given me to do what I love to do, practicing medicine and loving on babies! It's not easy staying cute! I had a little boy come to clinic this week who had been burned. His burns looked awful. It looked like he had probably fallen in a charcoal cooking fire. His mom said that hot water had been spilled on him. I said this "story doesn’t add up." Steam and water burns are clean. And this boy's burn was very contaminated. She told us that she used a white powder to help heal the burn — although she didn't know what kind of white powder she was using. So, I would assume it probably came from a Witch Doctor. After a little while, she admitted to us that she had also placed burnt egg shells — and cow manure — on the burn. She ALSO told us it had been five days since the burn happened! It looks like it will be a long road of dressing changes to try and get the burns to heal. The boy is three years old, and he didn’t want any part of us helping him. I gave him my EMS speech, the one I give to uncooperative patients, but it didn’t seem to help! HA! It took 6 of us to get his burns bandaged. So, it is going to be an even longer road to recovery for all of us. On Wednesday, I was the only one in the clinic for bandage changes and didn’t know if we would get it done or not. When the child arrived, he was sleeping. I had his mom lay him carefully on the table. I was actually able to undress, debride, and redress all his burns without him waking up! It was such a blessing for him (and me!) that he slept soundly through the entire process. I'm praying that he'll return regularly for his dressing changes, and that he'll heal with minimal scaring. I realized the other day that I have never introduced you to my good friend, Jackenson. Almost since I arrived in Haiti and started working at the clinic, Jackenson has been helping me out. He is almost 15 now and is a BIG help around the clinic. He helps us with things around the clinic. He translates for me a lot. He is my right-hand-man during dressing changes on Wednesday’s and Friday’s. He hands me supplies and does all the translating for me with the patients. There are many days I would be in trouble during dressing changes if he wasn’t there to help me. He even goes out with me when I have to run errands incase I run into someone who only speaks Creole. He is very smart and often times reminds me what supplies I need for a particular patient. The other day I was late getting done with dressing changes and is was starting to get dark and I had walked to clinic. As I was locking up he said "hold on a minute." He ran to the back of the building, and a few moments later, he comes back and says "I got Karen to give you a ride home." I told him I could walk, but he said, “NO! It's getting dark.” He said, “you take care of me, and I take care of you!” He is very thoughtful. Unfortunately, Jackenson is a Sickle Cell patient. So, I do often take care of him. When he has a Sickle Cell crisis he ends up in the hospital for a week. Some time ago we were talking about it and how expensive it is to have him in the hospital for a week for IV fluids and pain medications. We decided that we could do all that right here just as easy. Jackenson getting a “Piki” during a Sickle Cell crisis but still wanting to be in the clinic. He didn't see the humor in my artwork on his IV bag. So, at the first sign of a crisis he gets a “Piki” (Creole for "shot," so we always say piki just before we poke someone with a needle). We start pain medications and we can get him through his crisis much sooner than when he waits till he is really sick. The other day we were talking about how many "shots" he's had over the months. We decided we were at almost 13 gallons of IV fluid. He has been doing better lately as we have been working on ways to prevent him from having a crisis. Please pray for Jackenson that he will remain healthy! He has been fortunate thus far to never have a crisis effect an organ — and we want to keep it that way! I got called for a house call the other day. It was about a little guy named Kiko, from a special needs orphanage, who is an asthmatic. He was having an asthma attack because of a respiratory infection. Trying to explain to Kiko how to do a breathing treatment through a translator. I got him a breathing treatment and set him up on some antibiotics. I hope he is doing well now and back to having fun with his friends! The orphanage has asked me if I would be their emergency care provider. They said when they take kids to the hospital they often die. So, they want me to be on call for their emergencies with their seizures kids, asthmatics, and other serious emergencies. It's not easy staying cute when 1 out of 5 kids wont see a 5th birthday. This is one of the many little cuties that makes clinic such a blessing! It so rewarding and makes all the struggles worth while when you can give these little ones hope through good health. It’s always a little plus when you pick them up and they tuck their head into your shoulder and hold on to you as if to give you a hug and say thank-you for keeping me alive!! A new and fun way you can support Kelby’s Kids is to shop! Kelby’s kids is now a part of Amazon Smile. When you shop on Amazon they will donate 0.5% of the price of your eligible AmazonSmile purchases to Kelby's Kids!! Just click on the following link to get started. Mèsi anpil (Thank-you very much)!! Well, I have to apologize for the long delay since my last post! I think I caught the flu on the plane ride to Haiti after Christmas. I started to get sick on January 2nd and as of the 22nd I am still trying to get rid of the remains of it! It’s been annoying and counterproductive to the work of Kelby’s Kids, to say the least. Please pray that I don’t relapse or have any further problems as I continue to work alone to keep things going in Haiti. The Prices are still on Furlough in the states so it’s left a lot of extra work for me to keep up with things on my own. Please be in prayer for Prices. Troy’s Dad passed away on January 13th. This will greatly change the remainder of Troy’s time in the US. Some of our patients were sick as well while I was gone. One of the sets of twins that are in the Malnutrition program.Yvoson, mom, and Yvosia. When I arrived back in Haiti I found out that on December 27th Yvoson had died unexpectedly. His Mom said that he got sick with a fever. She said that she took him to the hospital, and when they got there, the hospital told her he was dead. I asked her if the hospital had an idea how Yvoson dies, and the hospital had told her it was the fever. We gave Yvosia a good evaluation at clinic and she seems to be doing fine. Please pray for Yvosia and her mom as they deal with the loss of Yvoson. I am sure you all remember our little miracle Davernile? I have talked about her in several posts but the first was in the post: “The Lost Have Been Found” back on May 29th 2017. Davernile after a big weight gain. We found out that on January 6th Davernile died. She had been through so much. She had beaten the odds several times even despite a mother that didn’t want her and a culture that thought she was evil because of her disabilities. She was still able to hold on through so much. It may have been a seizure that took her, they don’t know. What we do know is that she now is enjoying love like she has never experienced, a body free from pain, and can climb into the arms of her Heavenly Father. Thank-You to everyone that was a part of giving Davernile a better life during the short time she was here! Last Tuesday at clinic a guy brought in a little baby Wedson, that didn’t look very good. He was very dehydrated, his skin was in bad shape, and he wasn’t responding very well. He said that the mom had gone crazy and had taken off when the baby was 3 days old (this has become the story for every child in the clinic as “dead moms” mean they have to bring us a death certificate, so "crazy mom" is much less work). He said that he gives him sugar water when he cries. Wedson, not even being held very well by his dad. As I was assessing Wedson I could smell alcohol. I had my translator ask him if he had been drinking. He said yes. I proceeded to start to chew him out over that fact that he could buy alcohol for himself and then come begging to me to feed his baby. He then clarified that he wasn’t drinking. He had given Wedson some alcohol so he wouldn’t cry. So, I continued to chew him out for that. You don’t have to feed them very often if they sleep all the time. They do this regularly so they can leave their babies at home while they go to work all day. I told him he better look a lot better next week and he assured me he would. But he didn’t seem to be paying attention to my instructions. I'm praying that Wedson will come back this Tuesday and will be healthier. Do you remember this little guy from my last post? Another set of twins to the program. I am happy to report that they have gained weight and are doing much better! If you remember they came to the clinic and said mom was dead and we sent them to inpatient malnutrition. Once there, they called them out and told them they were liars and the mom admitted she was actually the mom. They came back to clinic last week. They sat down in front of me and started lying with their sob story. I told them I didn’t believe them and that they could leave. My translator said that he knew they were lying too. They didn’t want to leave. I told them they were liars and they were leaving. This made them mad despite the fact that everyone know Haitians love to lie and will lie even when it’s easier to tell the truth. They want to tell you what they think you want to hear. This is why it’s hard to assess people because they are making up their symptoms to try to make you happy! As they were heading to the gate one came back and said they used to be a part of Rhyan’s inpatient program and I had to help them. Then it clicked how I knew them. I told them I would check and they could come back next week and get in if it was true. I have a conversation with Rhyan. They are currently still in her program and had just received formula three days before they came to me. We are curious where they will return this week but if they come back to my clinic there story will be a little object lesson for the rest of the mammas since a good number of them are all friends. Last week at medical clinic we had a little patient come in with an infection in his arm. We were full but he was let in as it looked serious. When Kervens came in he cried when I touched his arm. His mom stated that another little boy pushed him down three days ago and he had cut his arm and it got some dirt in it, and it got infected. Upon evaluation of his arm it was determined that he had a displaced humerus fracture. I was worried about bone infection if the cut was made from the bone and dirt got on the bone as well. We sent him to a good hospital for further care. Kervens was much happier with a cast to hold it still and some goodies to eat and drink!! While in the ER the mom confessed to the nurses that some time ago he broke his arm. No story was given but was probably not from playing. Then, to help reduce the swelling caused by the break, a steaming corn cob and held it on his arm while they tried to reduce it at home. So, his infection was actually a burn. It was a pretty inexpensive trip to the ER all things considered but still at $3,215 HTG is out of reach for most. Thanks for helping Kelby's Kids Take care of this need! I'm hoping to see Kervens again, but may not — since his mother knows we know the truth. I’m not going to lie, I am sick and tired of being lied to and taken advantage by people lately. I apologize that this post is not very uplifting. But it’s not been a very uplifting couple of weeks here in Haiti. I am hoping my flu goes away and that this next week is a great week in the clinics with healthy kids! And I'm praying for truthful moms and dads to come through the doors! We want to sincerely thank all who have made contributions in support of Kelby's Kids during 2017 — we will be sending year-end contribution summary statements to you soon. On behalf of Kelby and Kelby’s Kids, I also want to encourage you to consider a 2017 year-end contribution which simply needs to be postmarked or date-and-timestamped no later than the end of the day, 12/31/17. A single day at the malnutrition clinic will cost $500 to provide formula and Medika Mumba (medical peanut butter for malnourished kids ages 6months-6years). With four or five malnutrition clinics per month that $2,000 price tag is more than our current monthly income at this point. We believe that God will provide in 2018 for Kelby to begin receiving a salary (he has been a faithful VOLUNTEER for the past 15 months, Oct 2016-Dec 2017). 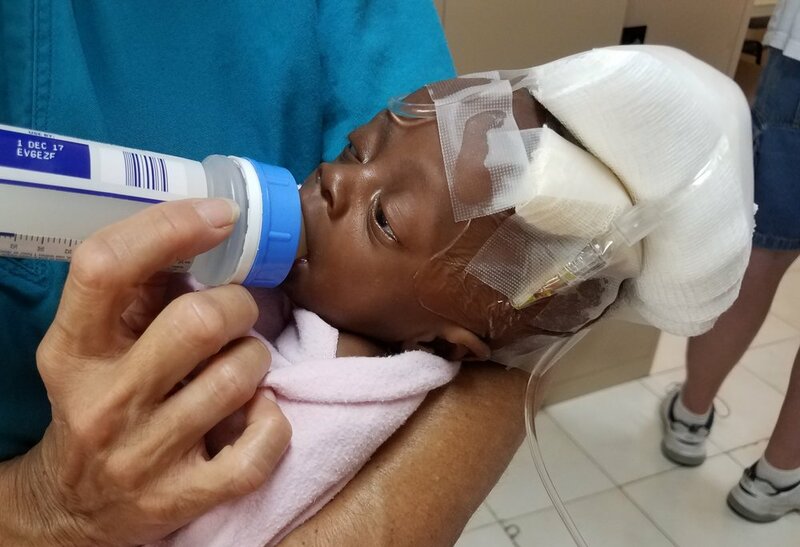 Please join us in praying for Kelby and this ministry and seeking God for the provision for Kelby to continue to minister in Haiti, until no child dies from a preventable issue.